Jan Van der Stock (born Antwerp, 1959) is a Belgian art historian and exhibition curator. He is full professor at the University of Leuven, where he lectures on Medieval and Renaissance Arts, Graphic Arts, Iconography, Iconology, and Curatorship. He is the director of Illuminare – Centre for the Study of Medieval Art (KU Leuven) and holder of the Van der Weyden Chair – Paul & Dora Janssen, the Veronique Vandekerchove Chair of the City of Leuven and the Chair of Medieval Sculpture in the Low Countries. In 1995 Van der Stock received his PhD from the KU Leuven with a dissertation on the development of the printed image in the 15th- and 16th-centuries Low Countries. In 1998, based on that dissertation, he published the fundamental book on graphic arts in the Southern Netherlands: Printing Images in Antwerp. The Introduction of Printmaking in a City: Fifteenth Century to 1585. Van der Stock explores the complex way in which the printed image secured a place for itself in the urban fabric. He reconstructs the different traditions from which the print producers evolved, and explains how existing institutions in the city related to the new medium. Very soon afterwards, in April 1999, he was awarded the art-historical Vuurslag Prize by Art & Antiques Fair ‘s-Hertogenbosch, in recognition of his work. In 1999 he was appointed Bijzonder Hoogleraar of Prints and Drawings at Leiden University. From 1998 to 2000 Van der Stock held the post of assistant curator in the Print Room of the Royal Library of Belgium (Brussels). His foremost undertakings there were the publication of The Print Collection of the Royal Library of Belgium: Early Prints and supervision of the conservation of the complete national collection of fifteenth-century prints. Since 2000 he has been a full-time member of the Faculty of Arts at the KU Leuven. At present he holds the position of full professor. He lectures on Medieval and Renaissance Arts, Graphic Arts, Iconography, Iconology, and Curatorship. Since 2003 he is director of Illuminare – Centre for the Study of Medieval Art (KU Leuven) and holder of the Van der Weyden Chair – Paul & Dora Janssen, the Veronique Vandekerchove Chair of the City of Leuven and the Chair of Medieval Sculpture in the Low Countries. Since 2005 he is member of the Royal Flemish Academy of Belgium for Science and the Arts. Currently he is finishing the book Between Norm and Practice. 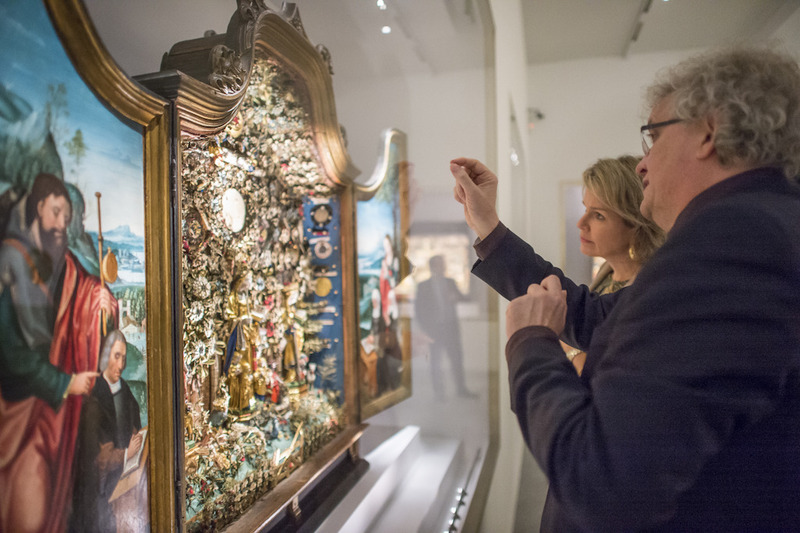 Two Centuries of Painting and Sculpture in Antwerp. Mid 14th – mid 16th Centuries: Assessing the Archival Evidence. Jan Van der Stock has organized several international exhibitions in Vienna (1991), Brussels (1985 and 1991), St. Petersburg (1996), Florence (1996), Antwerp (1993 and 1997), Paris (2013) and Leuven (2002, 2009, 2010, 2013 and 2016). In 1993 he was the general coordinator of the seven historical exhibitions that were part of Antwerp 93 – Cultural Capital of Europe. In 2016 he was the initiator and a driving force behind the municipal project 500 Years Utopia – Leuven. Thomas More’s iconic work Utopia was first published in Leuven 500 years ago by the printer Dirk Martens. For three months, the city organized a lavish commemoration of this event with a city festival, a unique social project and a high-profile exhibition. Van der Stock curated the key exhibition in M – Museum Leuven In Search of Utopia. Soon afterwards, he was awarded the Louvain Prize of Cultural Merit in recognition of his commitment and contribution to the cultural field in Leuven. He was/is also involved in numerous other projects centering on art of the Low Countries.